Admin's Note: This is an archive article that has been moved over from our old site. Author and photographer credits are unknown. Originally published in 2003. 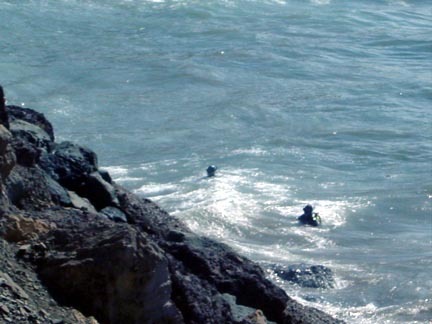 On October 18, 2003 the Dive Team assisted with recovery operations after a car plunged off a cliff on Pacific Coast Highway. 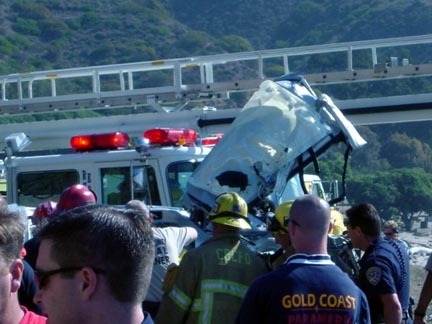 One of the first rescue teams to arrive on the scene, the Ventura County Fire Department readied the vehicle to be winched up the cliff. 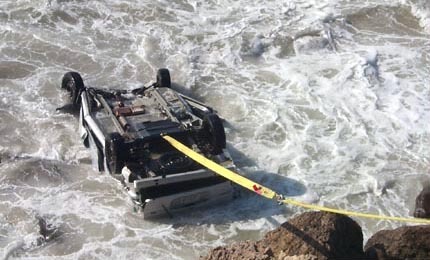 The PCH had to be temporarily closed while recovery operations were underway. 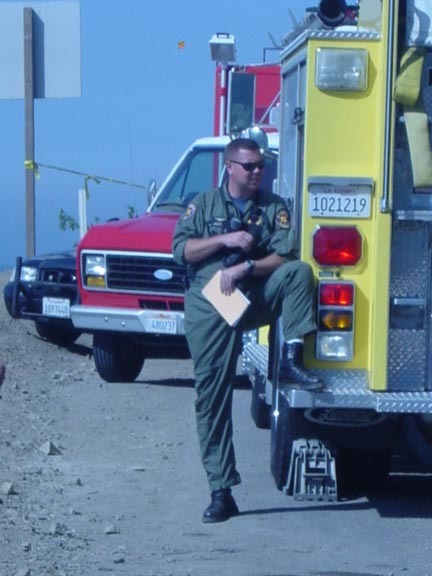 Coast Guard and safety diver, John Sullivan (pictured), was on hand to assist SAR divers. 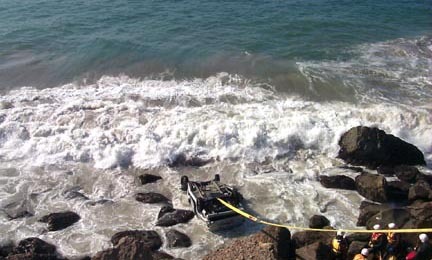 Reports from witnesses stated that as many as four people may have been in the vehicle. 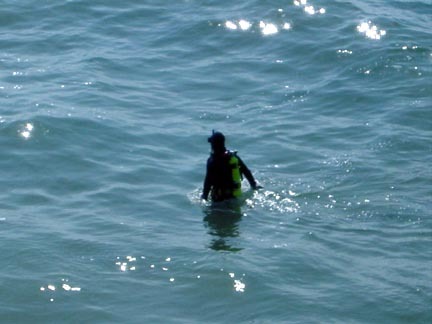 Only one victim was accounted for, which called for SAR divers to search the surrounding areas. 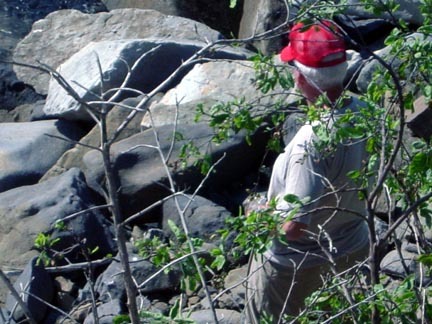 Steve Giles coordinated divers from just above the water's edge. 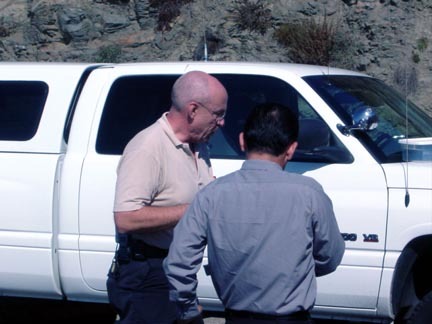 The search continued until it was confirmed that that only one occupant was in the vehicle. 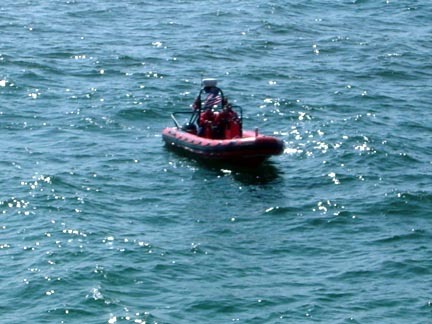 SAR divers also recovered debris from the wreck.